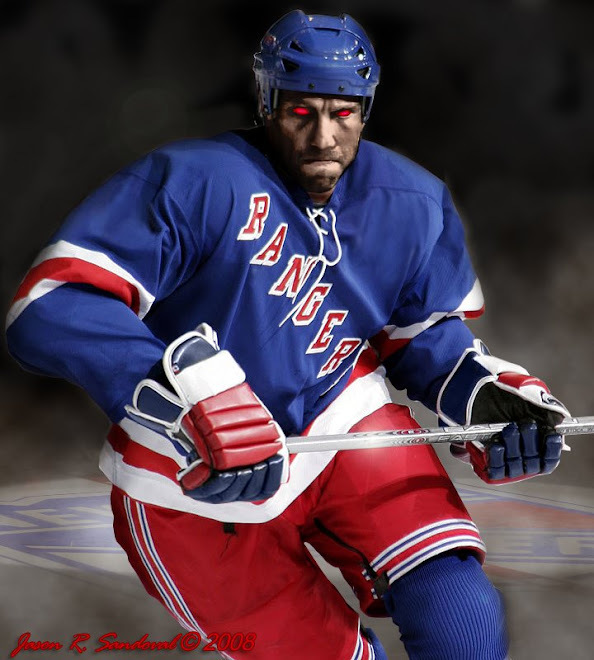 You don't know me but, I am a hockey fan and primarily a New York Ranger fan. I know... I know...however, nows not the time for details. I am writing to you to implore you to start playing a more physical game and secure the Stanley Cup victory in game 7. We've all seen what you can collectively accomplish when you are focused and the equation thus far has been... Detroit plays physical= Detroit wins. I understand... you guys are tired and battling uphill against cheap-shots from Malkin, Cindy and the rest of the sh*tbirds, as well as the refs that turn a blind eye, backpeddling and reinterpretation of the rules by that useless tool Campell and lastly,........... that cheerleading idiot commissioner rooting for his golden boys. To quote Peter Gibbons, "he represents all that is soulless and wrong"... if you have ever seen the movie office space, there's this guy.... anyway, I digress... The point is, the fact they are conspiring against you should only make you want it more. You may not realize this, but the fate of hockey hangs in the balance. How you play in this game 7 not only decides who wins the Stanley Cup, but what type of hockey will be played and watched from here on out by fans of the sport everywhere. 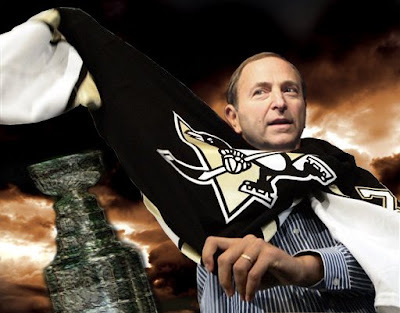 The hopes of all hockey fans everywhere rest with your opportunity to beat the odds and stick it to Bettman, Crosby, Malkin, that toad Tyler Kennedy and the rest of the kool-aid drinkers. As a fan of a fellow Original 6 team, I beg you to step it up and restore order to our once beloved game. (well as much as can be fixed at this point). Not sure if they got the letter in time, J... damn.